Giuliani says there was no conversation about Michael Flynn between him and Comey. 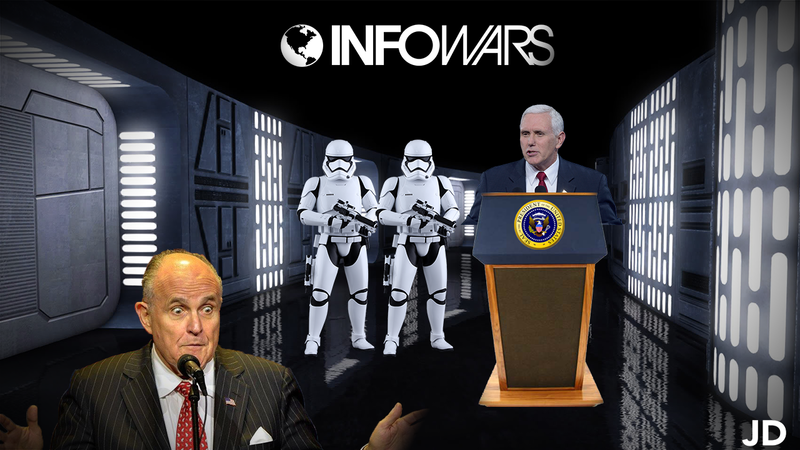 Last night, Jimmy Kimmel mocked Mike Pence’s speech regarding the announcement of The United States Space Force, CGI Stormtroopers were inserted beside Pence to ridicule this sci-fi like title. On episode 21 on The JDRC Politics Podcast, I edited a best of Alex Jones with sad music to replicate a memorial-like setting, all of course in good fun. PreviousPrevious post: 33 – News Rundown: Trump and the NFL, DJI falls, and Chipotle serves bacon! NextNext post: 35 – Omarosa is out, Kanye is silent, and Tesla is doomed!